RAE offers high quality domestically manufactured fractional horsepower, permanent magnet, DC brush type motors, parallel shaft and right angle gearmotors, wound field motors, and DC motor drives. 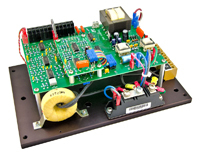 Typical offerings are in the 1/70 to 1/3 horsepower range, with input voltages from 12 volts to 180 volts DC for permanent magnet product, and 12 volts to 230 volts DC/AC for wound field product. Motor speeds are available up to 5000 RPM, with torques available up to 165 inch ounces. 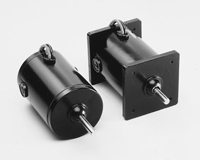 Gearmotor speeds are available up to 1000 RPM, with torques up to 300 inch pounds. RAE offers a broad range of design configurations in fractional horsepower PMDC brush type motors, gearmotors, wound field motors and controls. You may choose a design from the many series listed on our website, or request modifications so that the product meets your unique specifications. RAE offers durable construction, precision components and a range of performance levels. IPC Automation specializes in providing custom control solutions for OEM motion, motor and power applications at highly competitive prices. That's why successful manufacturers trust IPC for effective motion and control systems, delivered on time and on budget. When you want the very best, call on IPC to put your products in motion. A. Fischer Phase Drives has provided dependable Motion Control world-wide for over 40 years, delivering the quality and service our customers expect from the leader in phase drive technology. A. Fischer Phase Drives offers a reliable, simple and precise unit that solves problems of phase adjustment, registration and timing quickly and efficiently. They also have the added inherent ability to be used as a speed reducer because of their standard 4:1 ratio. Adjusting the timing of various transmission components often requires costly downtime, because of the disassembly and re-positioning of shafts, gears, or chains to properly phase the position of one shaft to another. However, with the A. Fischer Phase Drive, by simply rotating the adjustment shaft at the top of the unit, you have unlimited instantaneous adjustment of the input-output shaft relationships. This may be done while the machine is running or stopped, manually by means of a hand-wheel or remotely with an electric motor. A. Fischer Phase Drives are precision engineered and quality built throughout. All components are machined to exacting tolerances, utilizing CNC machining and turning centers to assure minimal variation, for consistent interchangeability of all components. All components are inspected before assembly. High quality taper roller bearings and precision needle bearings are used, all gearing is hardened and tooth-form ground. Assembled units are dynamically tested to assure a quiet trouble free performance over a long operating life.